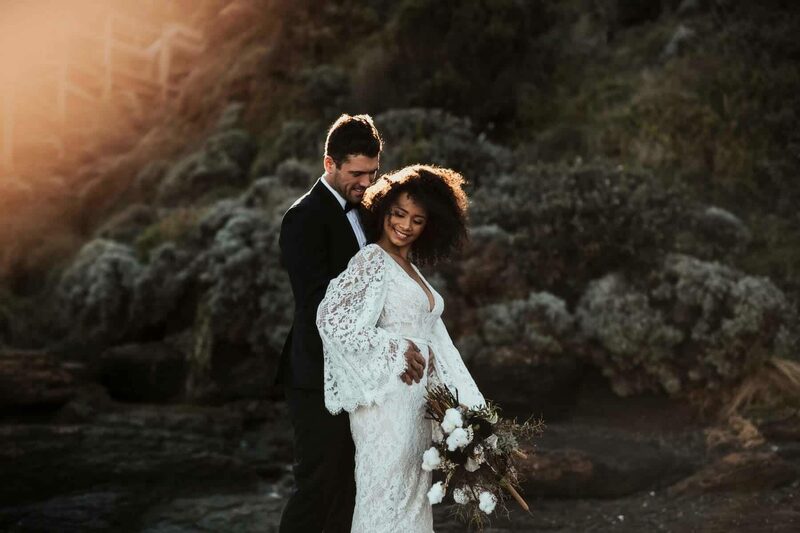 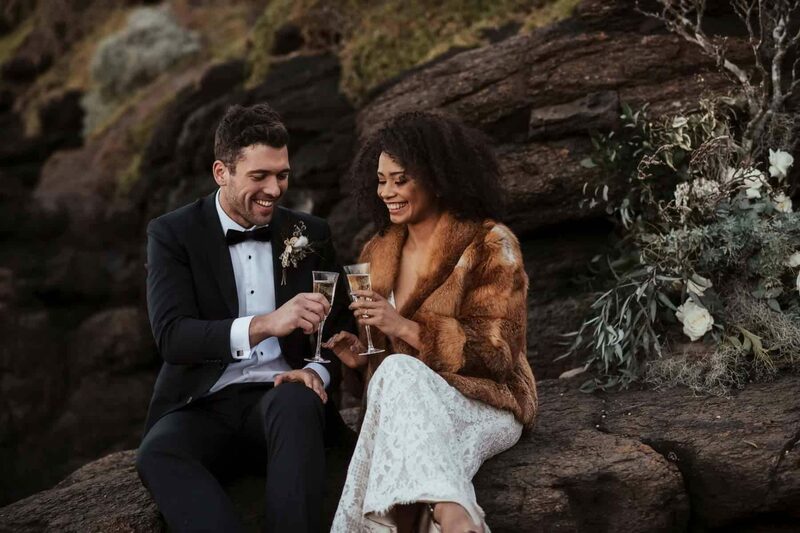 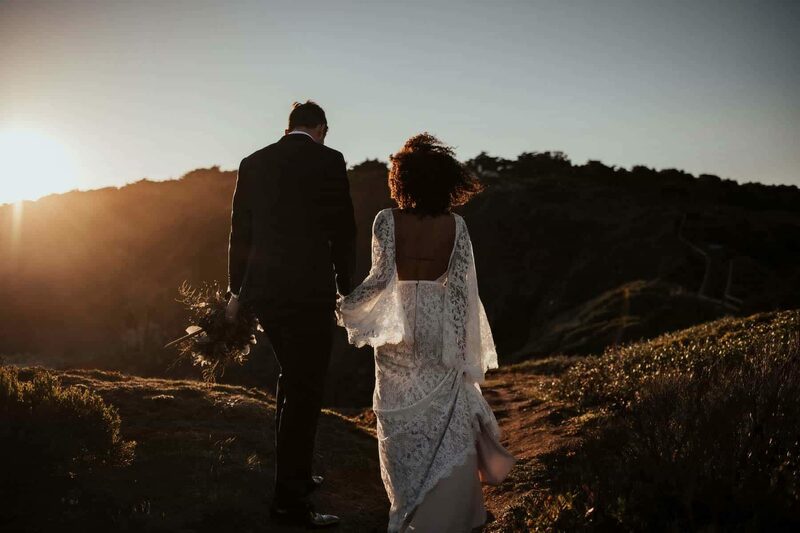 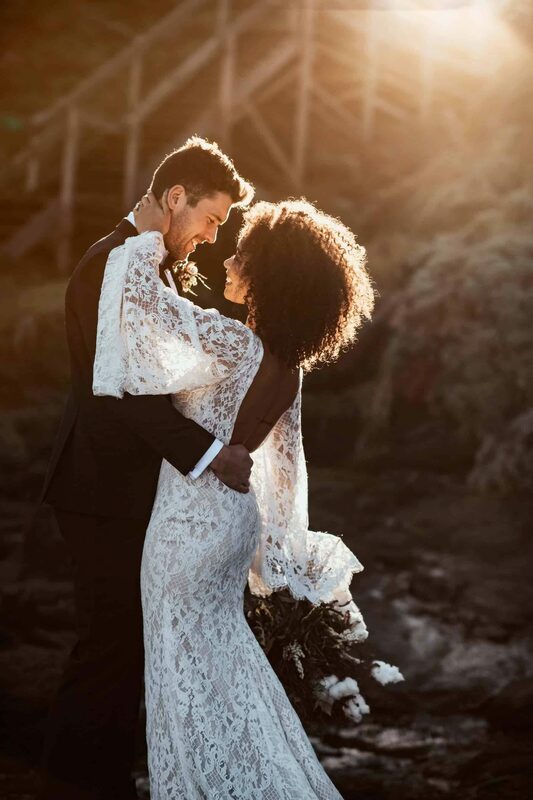 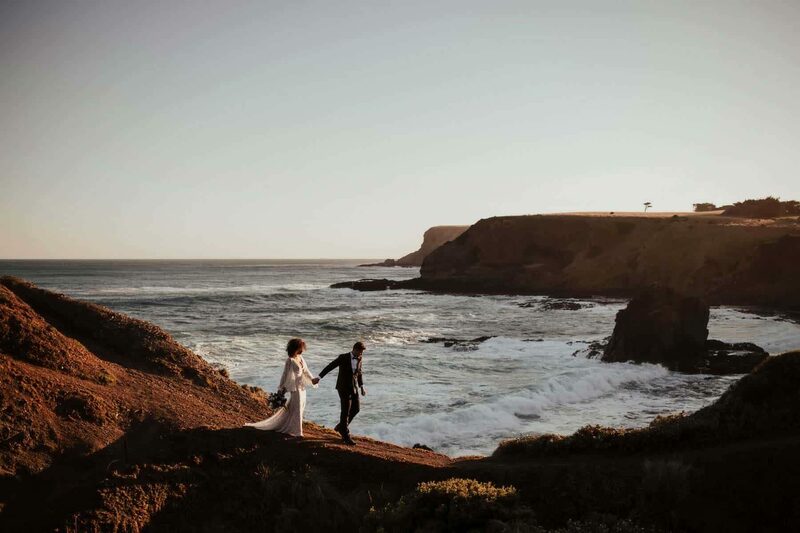 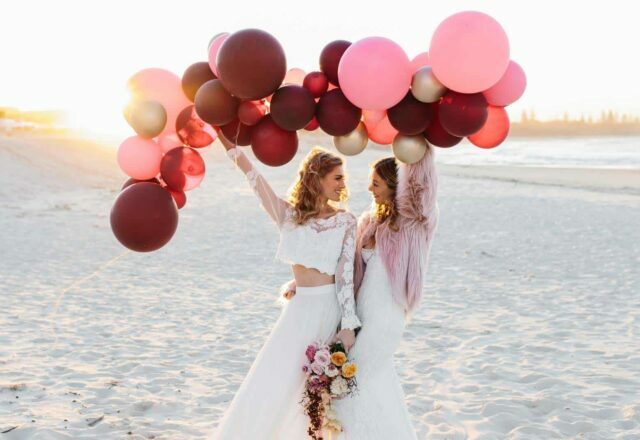 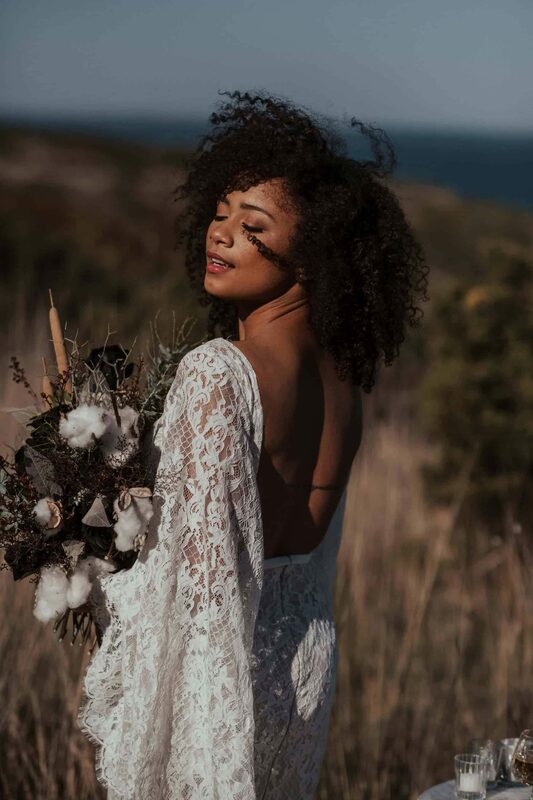 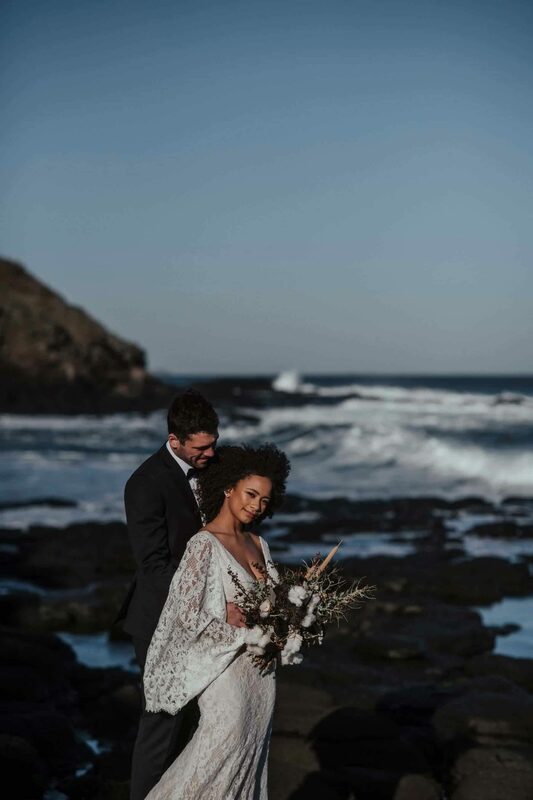 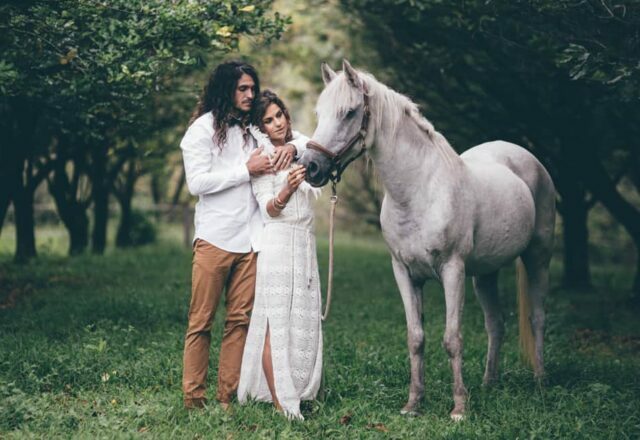 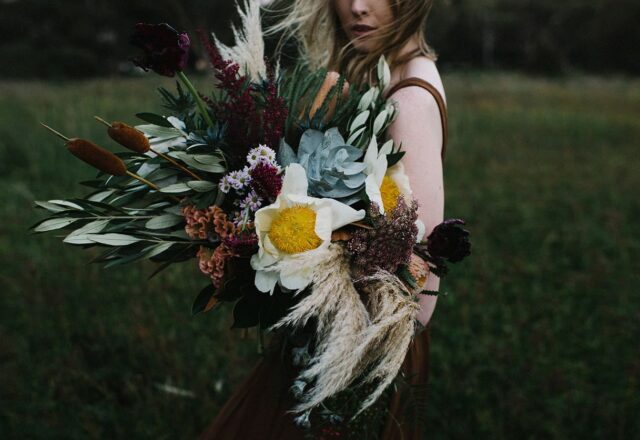 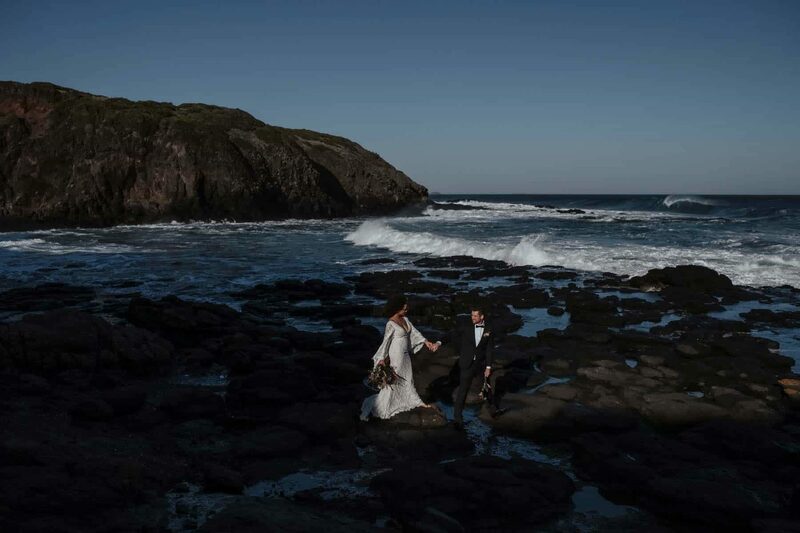 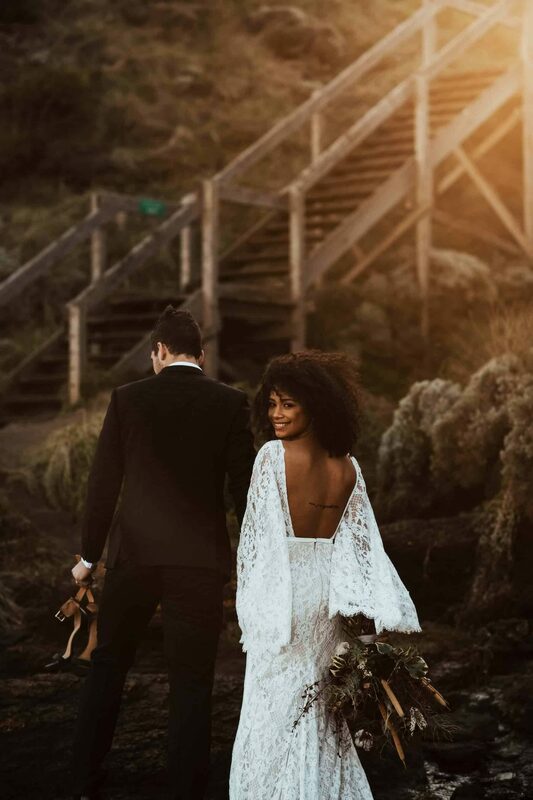 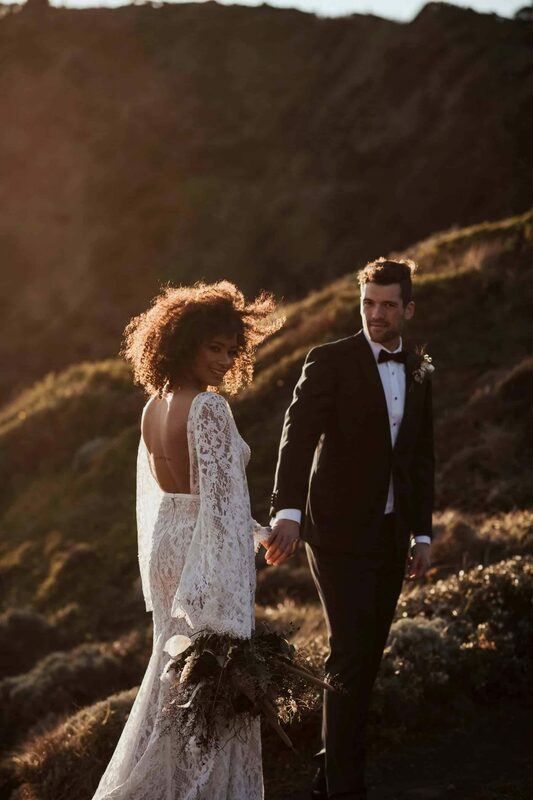 Set amongst the dramatic coastal cliffs of Flinders Blowhole, this styled shoot by Immerse Photography and Hello Blossoms is full of wild bohemian glamour and beautiful golden light. 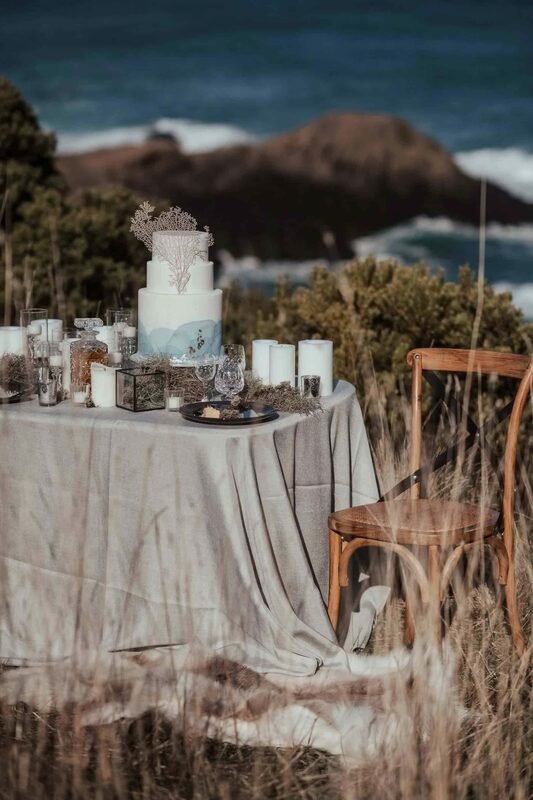 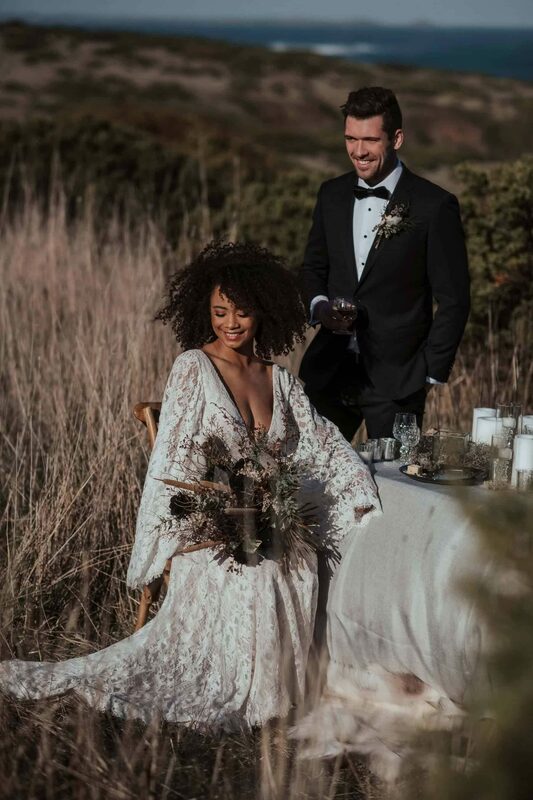 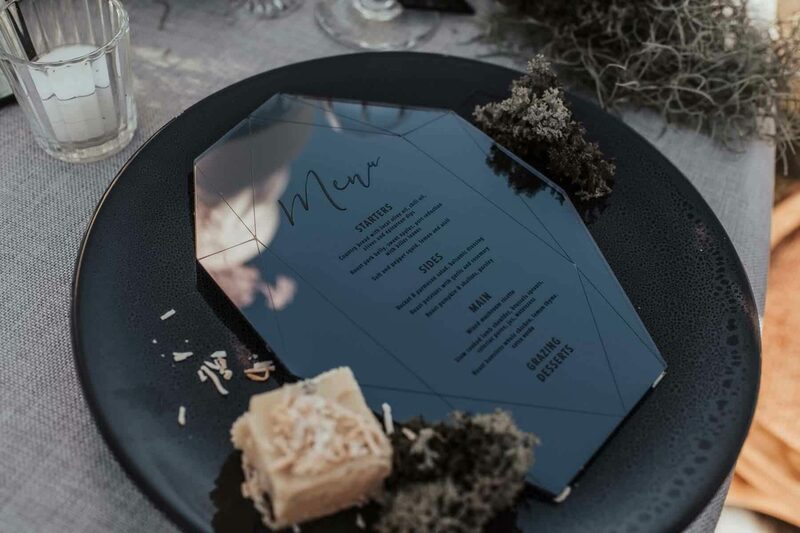 The breathtaking backdrop formed the inspiration for the whole shoot, with the clifftop tablescape literally reflecting the natural setting with mirror menus by Sketch & Etch. 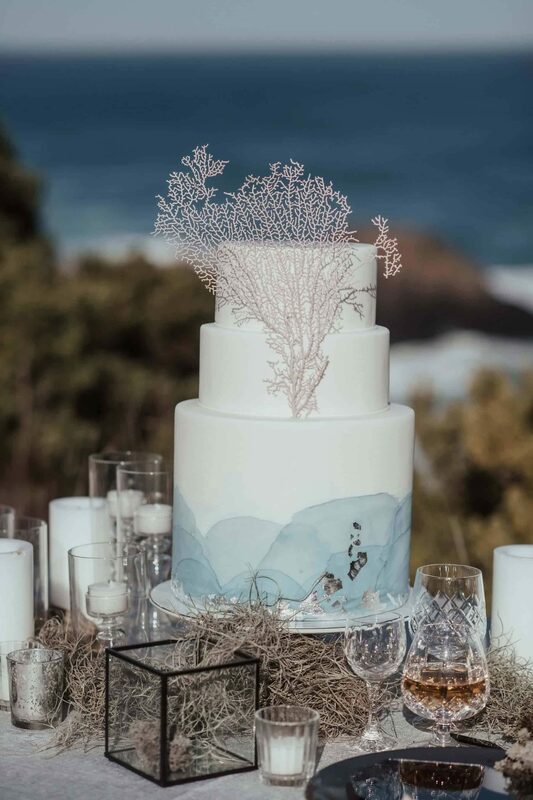 Amidst crystal cut glass and hand hewn tableware, natural elements were woven into the scene, like sea grass and coral adorning a watercolour wedding cake by Peninsula Cake Art. 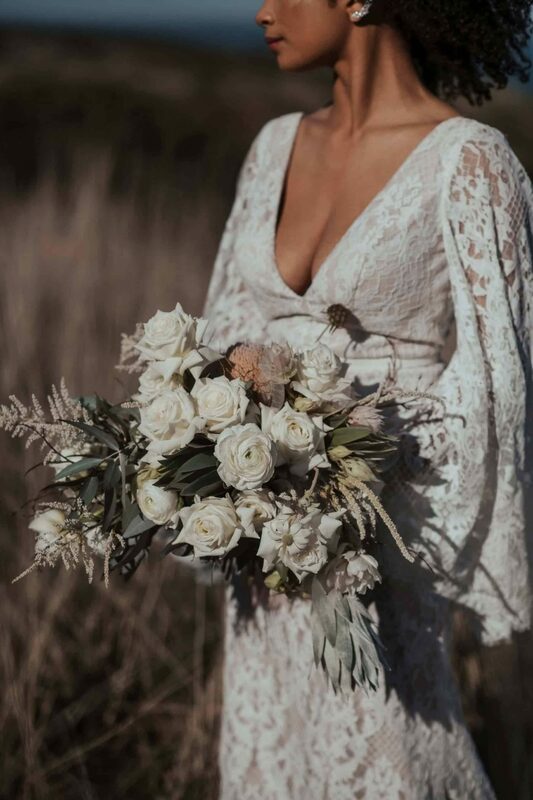 Hello Blossoms created two bridal bouquet looks. 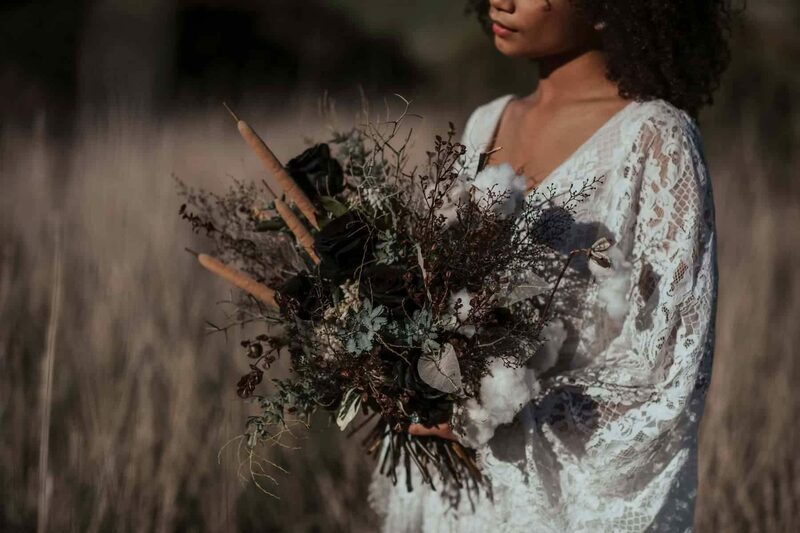 One incorporated unique botanics like bullrushes, wild grasses and coastal flora, which contrasted against the second more traditional arrangement of white roses, flannel flower and proteas.